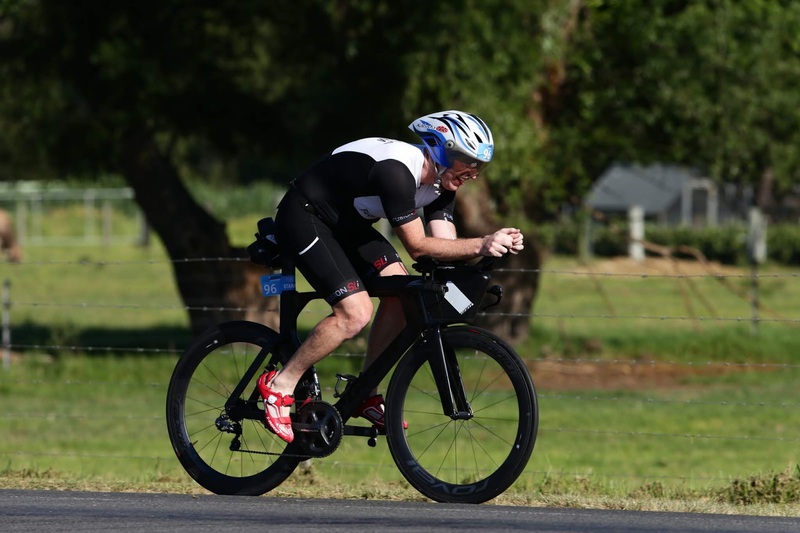 The trend of warm conditions for my racing season continues at the Nowra Triathlon. This race was to form a lead-up for Hell of the West at Goondiwindi and the conditions provided the perfect dress rehearsal. The Mercury hit 34 degrees on the banks of the Shoalhaven River at the course I was looking forward to racing at. I’d raced the sprint distance a year earlier on my road bike when I was still in a fair bit of denial about the severity of my Achilles injury. I loved the course and was keen to go back. I went into the race with no taper as it was basically a brick session with company for the half-distance race in a fortnight’s time. A year earlier we had been allowed to wear wetsuits due to jelly fish in the river, however despite them still being present, it was a non wetsuit affair in 2018. As usual, my swim was a little below par and included a few stings from the aforementioned jellyfish. I was excited about the bike course as if enjoyed it a year earlier. Sadly, on this day, my legs didn’t comply, for the first 25km they just seemed to not quite be there, no matter how hard I pushed. I decided to just ride as hard as I could for the last 10km and things sort of came together. By the end of the 40km I would have been happy to keep riding; possibly a good sign for my next outing. The run was a bit of a battle in the heat but I 47:29 was something that was a fair indication of how my running is at present. Overall 2:33:31 proved to be a new Olympic distance PB and landed me sixth I’m my age group. I’d still assume there’s a lot of room to improve on that time. The best news of the day was my wife winning her age group in the sprint at her very first race back since both dislocating and fracturing her shoulder in a bike accident. Considering she can still really only use one arm in the water it is an incredible and inspirational achievement. Next stop the iconic Hell of the West!! !